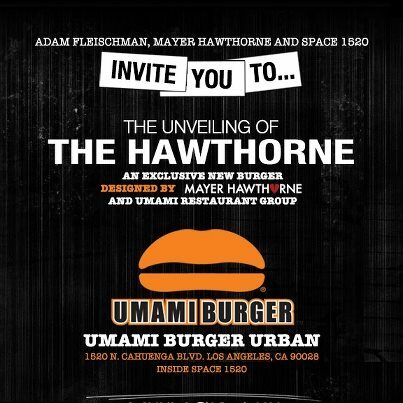 Tomorrow, Tuesday October 8th, Umami Burger will be revealing the “Hawthorne” burger, designed by Mayer Hawthorne in efforts with owner Adam Fleischman and Space 1520 in Los Angeles. 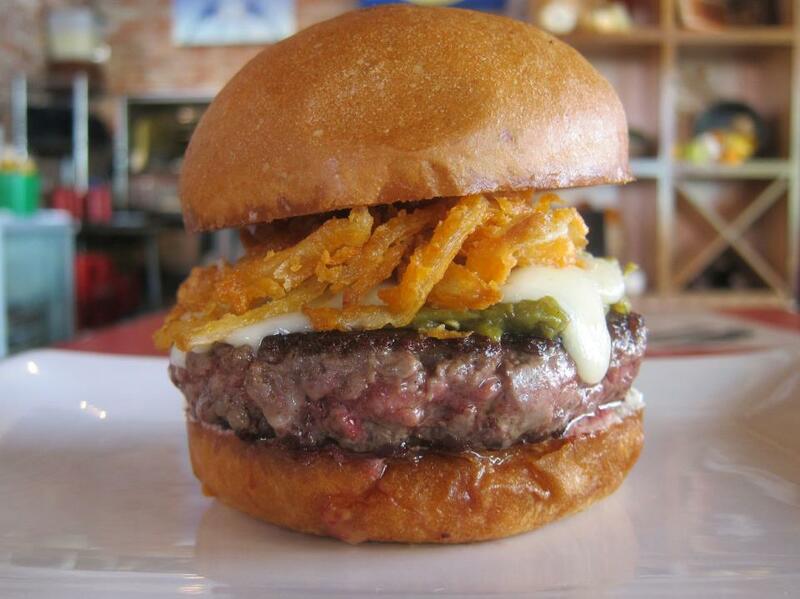 The burger ingredients include: Hatch chiles, cripsy hatch chile straws, a cognac parsnip puree, a cognac fondue sauce, and their standard beef patty. The BURGER launch party is occurring from 8-11pm at Space 1520 at the Umami Burger “Urban” location there. If you haven’t heard Mayer Hawthorne, his music is derivative of the 1960’s/70’s soul, motown, and r&b style. I was pleasantly surprised that my ears didn’t fall off my head when I looked him up and pressed play. Anyway, he will be playing a set at the launch party. So… Got nothin’ to do tomorrow? Grab a friend and hit up Umami Burger! You even get some decent music to go along with it.